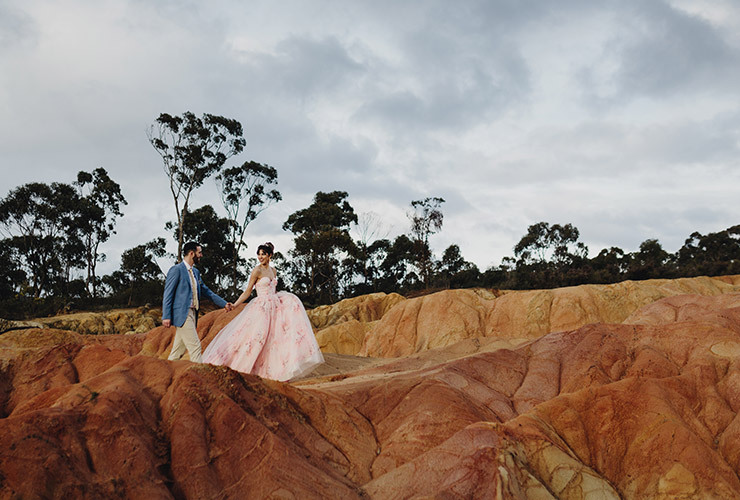 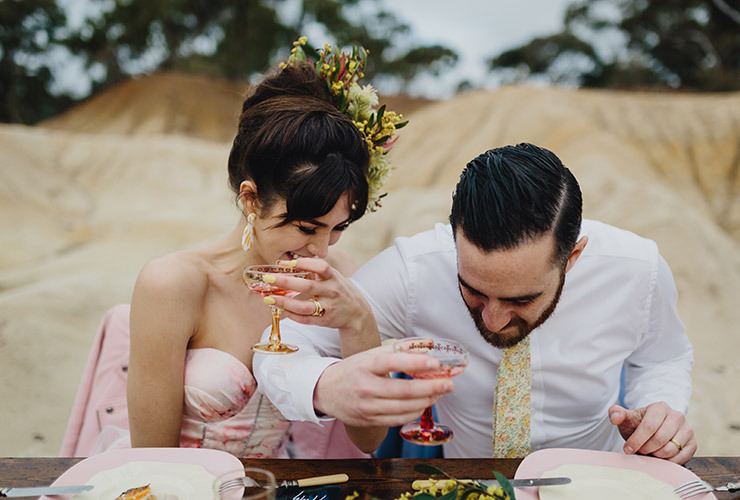 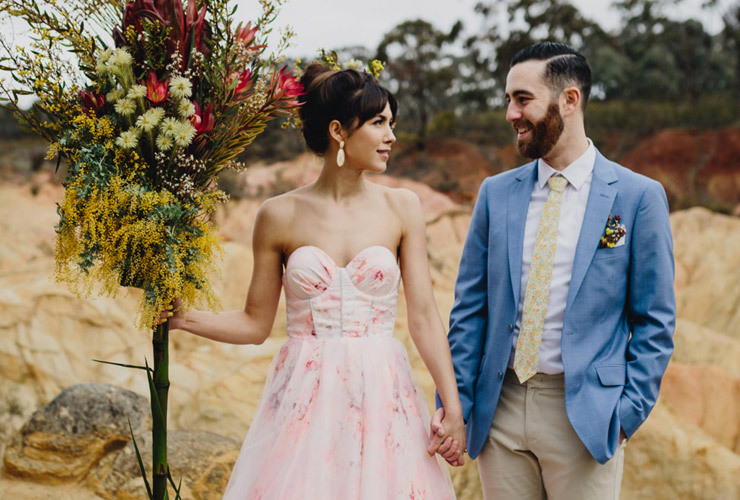 Set against the dramatic backdrop of Victoria’s Pink Cliffs, Amy & Nick’s retro wedding shoot (recently featured on Nouba wedding blog) was themed around mid-century Palm Springs mixed with a heavy dose of Australiana. 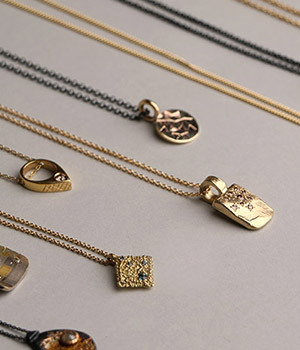 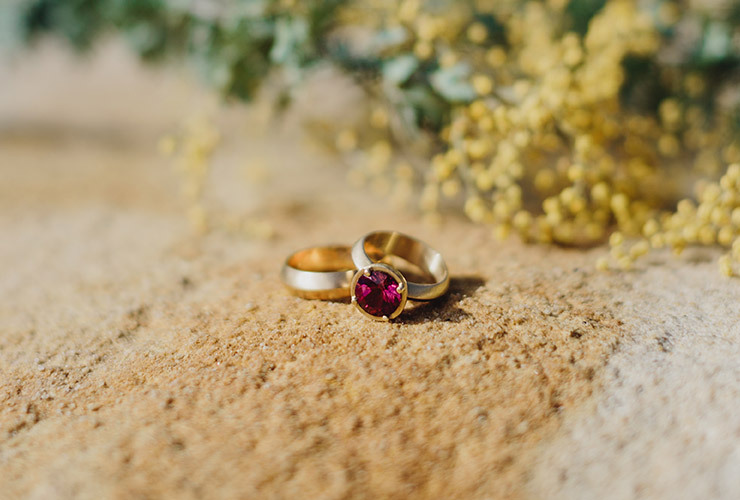 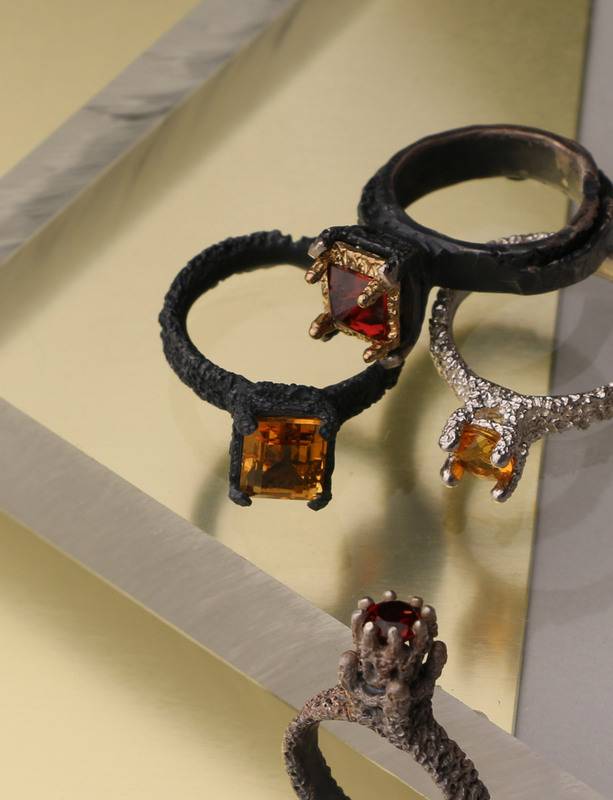 Amy wore Emma Goodsir‘s Pink Tourmaline engagement ring, before the couple exchanged brushed yellow gold wedding bands, also by Emma Goodsir. 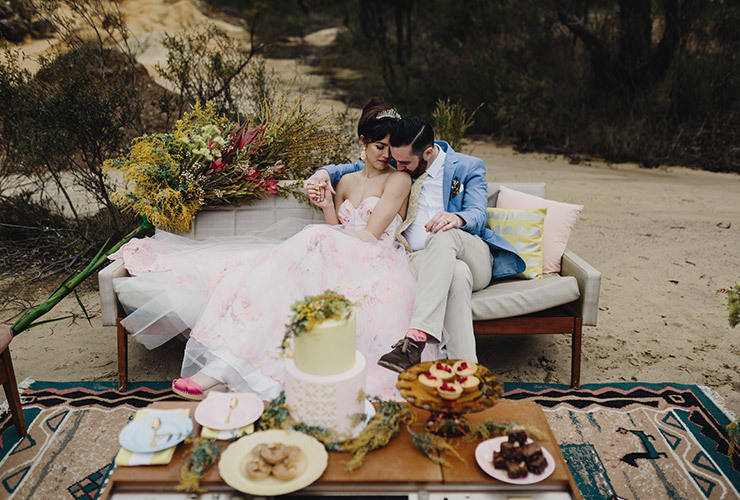 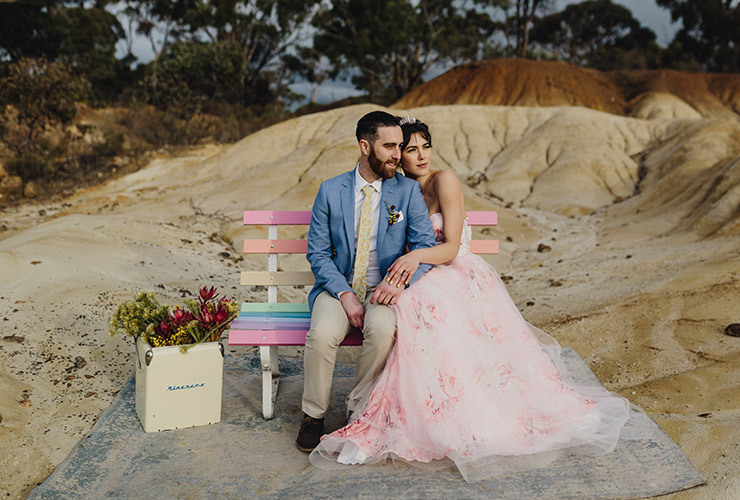 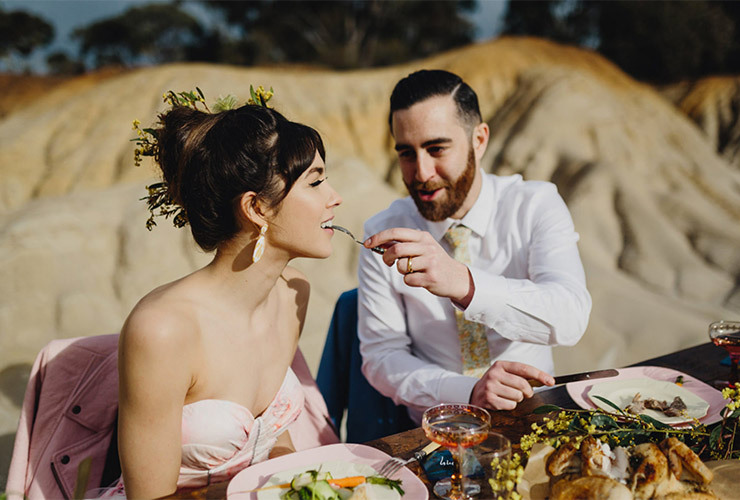 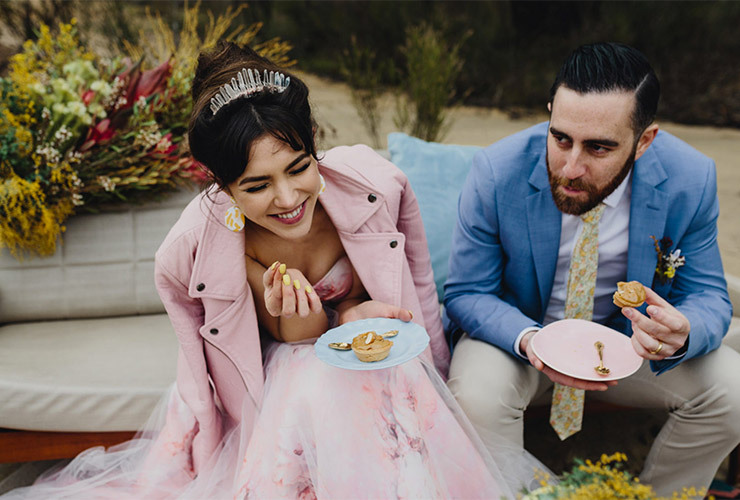 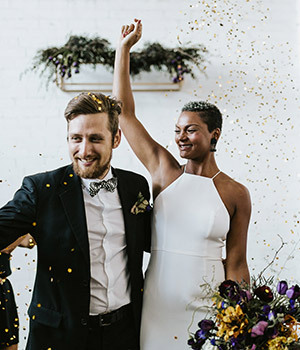 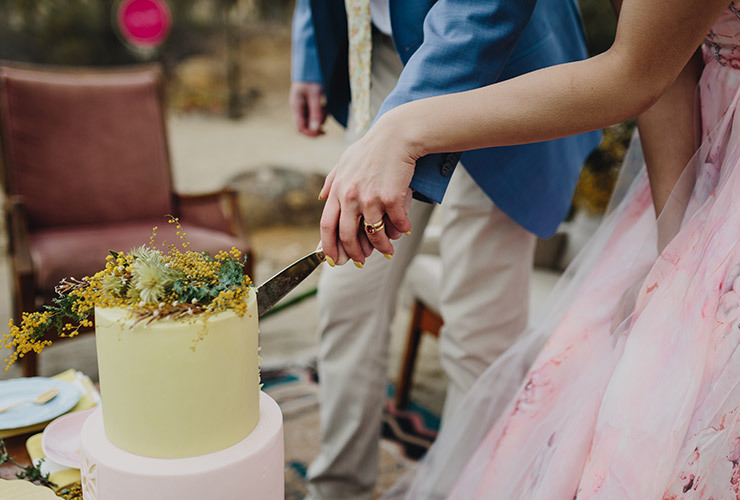 The theme was expertly styled by Good Day Rentals and captured by Long Way Home photography, with bright native botanicals, gelato-toned accessories and a delicious pink floral gown by Avari Culture.